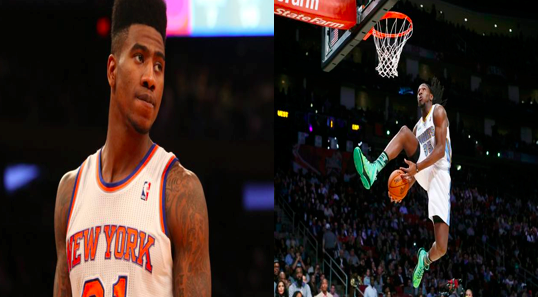 It has long been rumored that the relationship between Iman Shumpert and the Knicks Organization is tenuous. According to ESPN and the Daily News, the string might be about to break, with the Knicks and Nuggets discussing a trade centered around Shumpert and Denver’s Kenneth Faried. The Knicks are pretty deep on the wing and are desperate for a rebounder with an inside presence like Faried, so this deal is interesting to think about. Faried averaged 11.5 points, 9.2 rebounds, 1 block, and 1 steal in just 28 minutes per game last season in his second year out of Morehead State University. Nicknamed “The Manimal,” Faried is known for his unlimited energy on the court. However, Shumpert is a good young player who is improving on offense and very solid on defense, and the Knicks might be making a mistake in letting him go. Furthermore, it is rumored that Denver is also seeking draft pick compensation from the Knicks in this deal, and given our severe lack of draft picks over the next few years, the Knicks should be wary of including whatever remains of their draft pick flexibility going forward. We’ll see what happens, but one thing that remains clear is that James Dolan is not happy with what he’s seen from his team so far. 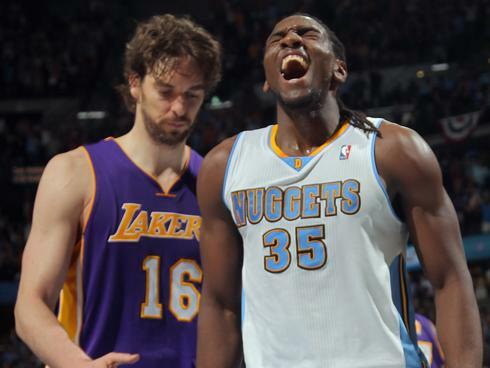 UPDATE: Denver, extremely reluctant to part with Faried, has rejected the idea. It appears that Shumpert won’t be headed to Denver, but it is clear that the Knicks are very, very open to trading him. This entry was posted in Articles and tagged iman shumpert, iman shumpert kenneth faried trade, iman shumpert nuggets, iman shumpert trade, kenneth faried, kenneth faried iman shumpert, kenneth faried knicks, kenneth faried trade, KNICKS, knicks blog, knicks get kenneth faried, KNICKS MEMES, Knicks news, knicks rumors, knicks trade, knicks trade iman shumpert, knicks trade rumors on November 13, 2013 by Tommy Rothman. 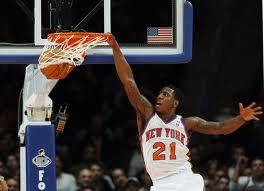 Love Shumpert, but Faried is a solid player as well. I’d be cool if it happened. here they go again trade a good player that gets better as they go.they always trade the good players.can they trade owners lol!!!!!!!!!! !